More and more people are discovering the charm of the green holiday, renting an apartment or house in a country villa in Tuscany are just examples of how to spend their holidays in Tuscany . 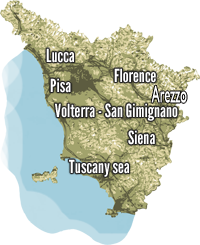 The selection and variety of accommodation is now equivalent to that of the great cities such as Pisa, Lucca, Florence , Pisa, Lucca and Siena. Charming luxury hotels in the country, equipped with every comfort , with elegant furnishings and and manicured gardens , some of these have an indoor spa for the Welfare of the senses or are affiliated with major thermal spas in Tuscany . Ancient Villas for rent countryside or farms that preserve the original furnishings of the period in which they were inhabited by the noble owners in the late 800 or early twentieth century. Apartments and rooms in the house , accommodation very often economic performance and an excellent value for money. 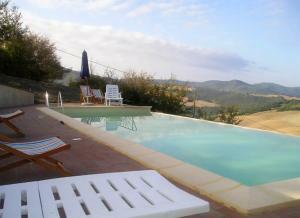 Very often managed directly by the owners, almost all with pool and garden. Each room at the Charming Hotel Villa Farmhouse country to have as a common element in close contact with nature, ideal solutions for living the quiet of the countryside , to dine by candlelight illuminated by the moon or walk barefoot on green lawns. Renting an apartment in a farmhouse in Pisa or Lucca can be an excellent compromise to rest and enjoy the holidays in the pool, taste delicious local products and visit the Tuscan cities of art of great value , such as Florence , San Gimignano , Siena, Volterra. The farm is the most suitable for families with small children , large outdoor spaces, verandas or small terraces for dining out are great places to give children the freedom to play in the fields , playing ball or bowling or to enjoy a well deserved swim in the pool. The small Tuscan villages form the backdrop to this perfect vacation, small taverns with a menu based on local produce , fairs and festivals in the summer that populate the small villages , they will make a holiday or weekend in Tuscany unforgettable .